At heart, XRS-330C XRS™ Super Compact Hideaway UHF CB radios are UHF radios, and good ones at that. They feature radio frequency output of 5W, 12.5Hz channel spacing, and the ability to simplex and duplex broadcast; they can scan their inbuilt 80 channels at 25ms per channel and consume only up to 1.5A. All pretty top-end stuff, although normal; where these radios really excel is by doing it all through a handset complete with a powerful 2W speaker and a big, easy-to-read, OLED screen. But GME have gone beyond that, with an addition that seems so obvious now it is on the market. 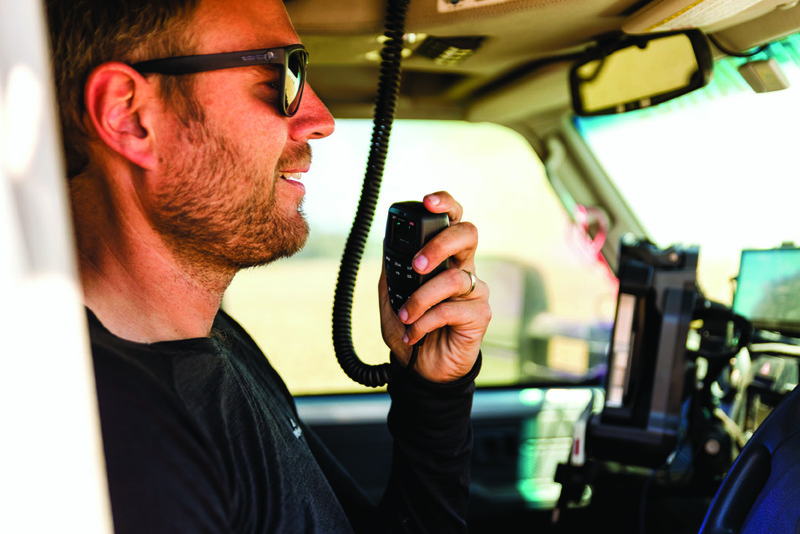 By pairing with a smart device, like your iPhone, to an XRS equipped radio, your UHF becomes a beacon to promote your location and it can do this with just satellite coverage on your phone – no cellular network is needed. Other users with the same arrangement can monitor this and your location using the same app. Pairing is by low-power bluetooth and once set up with vehicle names, location services on and the apps open, you can track your location live via the app. The real value lies in the ability to see your location relative to others and the ability to apply status to your position. The ability to send status is impressive in its simplicity and wide use. We trialled a #LOST code to sample the system and found it easy. 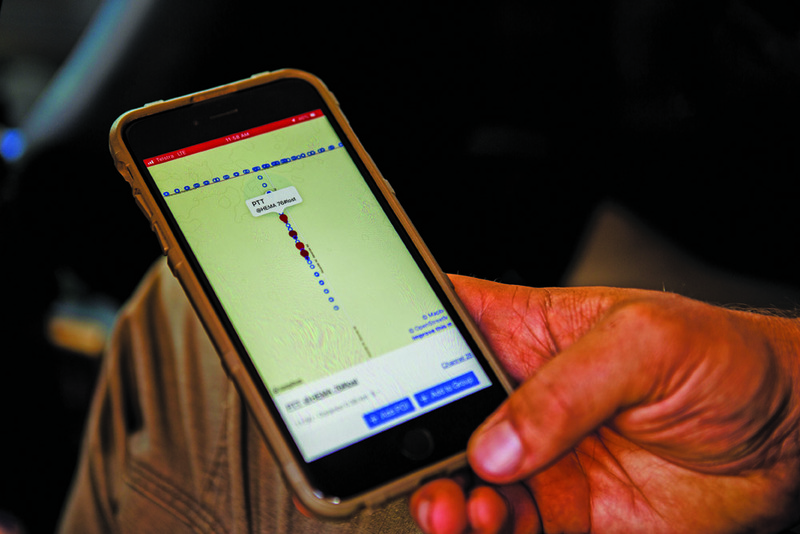 For users on remote properties without cellular coverage, this could be a lifesaver; for the campers among us, being able to set a status to indicate the perfect campsite or fishing hole could be a real time saver. GME design and build their products in Australia for Australian conditions. Although the handset is not the rugged handset of the TXS-S Series, it is well built and impressively comes with a five-year warranty (at the time of writing, this was upgradeable to six via the download of the XRS app). Also impressive and cutting-edge is the upgradeability of the unit via bluetooth. Should GME offer software upgrades in the future, you are able to make these upgrades remotely by downloading the update to your XRS connected smart device before transferring the update to the UHF via bluetooth. I was impressed by the radio for what it was, an excellent version of one of the most important outback tools you can fit to your car. The addition of XRS Connect opens the door to so much more. 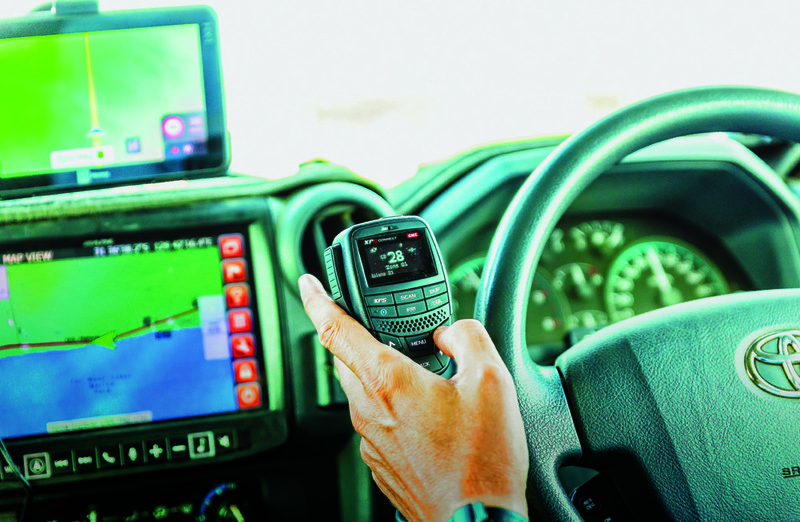 Broadcasting #LOST, #HELP or other statuses while displaying locations relative to each other gives a connected group of outback travellers a new level of confidence when away from cellular networks.